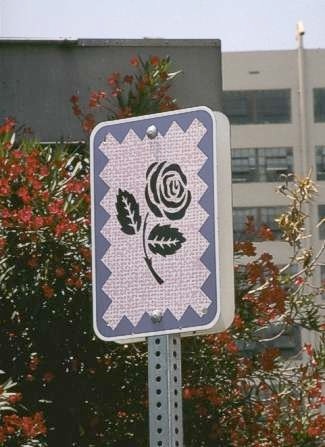 400 graphic signs were installed within the Downtown Los Angeles Fashion District to identify each of eight specific districts (Men’s Wear, Flower Mart, Accessories, etc.). Eight specific icons were designed inside one common graphic context. 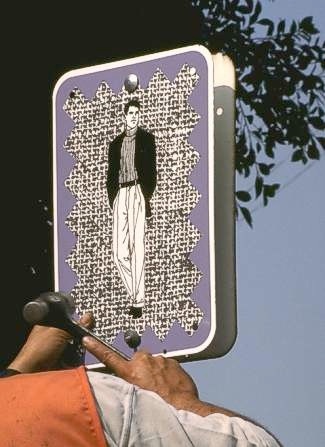 These locator icons were developed from Tzanetopoulos’ issues with fashion and fashion-driven social imperatives. 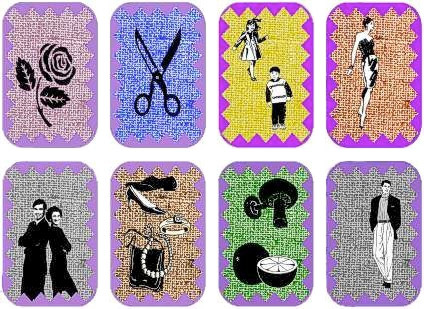 The use of clip art locator images references the semantic at play, as issues of fashion are discussed in a public arena. Eight designs representing the various areas within the Downtown Los Angeles Fashion District.